It can be difficult to find somebody who loves your boat as much as you do. When you locate a company that is dedicated to Boat Repair and Restoration Services and loves everything about boats, you have hit the jackpot. Anchor Marine Repair has a team of experienced boat repair technicians who are highly skilled and anxious to get your boat fixed up as good as new and ready for the next boating season. 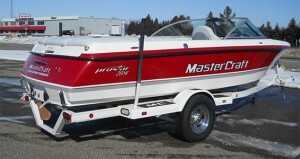 We can pick up your boat in St. Paul, MN and repair any damages caused from this last year. Now that the lakes are frozen over and another Minnesota boating season has come to an end, why not have your boat repaired during the off-season? There are so many ways that a boat can be damaged during the year. It takes a knowledgeable and skilled craftsman to restore a boat to its former glory. Anchor Marine Repair has indoor, state-of-the-art facilities that can give you convenient and affordable boat repair services. This is the perfect time to make any necessary repairs and dream upgrades while your boat sits idle for the winter. A boat can sustain damages due to many different causes including Storm Damage, Collision Damage and wear and tear. Some boat damages are covered by insurance. Anchor Marine Repair can assist you with your insurance claim and protect your investment. 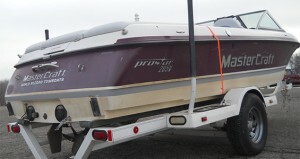 We have seen it all and have experience with all kinds of boat repairs and restorations. Anchor Marine Repair has convenient, off-season Boat Repair and Restoration Services available now. Our highly skilled and experienced boat repair technicians are hard at work getting St. Paul, MN boats in the best shape they have ever been and ready for the next boating season.